Close Listening, detail: Eli Bornowsky, 2015, installation view, Richmond Art Gallery, British Columbia, Canada. 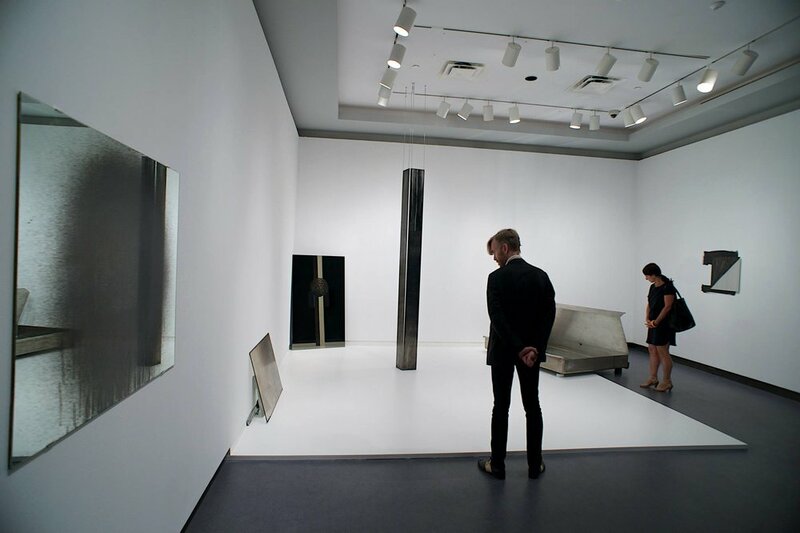 Jon Sasaki, Two Roads Diverged in a Wood, 2015, installation view, Ottawa Art Gallery, Ontario, Canada. Ola Wlusek is an independent curator based in Canada and Poland. She earned an MA in Contemporary Art Theory from Goldsmiths College, University of London. She also studied Art History and Cultural Anthropology at McMaster University. For the past ten years, she worked in curatorial and educational departments at public art institutions in Canada and abroad. From 2011 to 2015, Wlusek was the curator of contemporary art at the Ottawa Art Gallery (Ontario, Canada) where she organized multidisciplinary projects that explored the contesting social, cultural and community histories. She’s interested in transnational frameworks for the interpretation of art through exhibition-making that is accessible to an audience from culturally diverse backgrounds. Her research focuses on new curatorial strategies and museological methodologies for exploring non-Western, indigenous, and comparative approaches to global modernities. While working collaboratively, she considers exhibitions as experiential, flexible and accessible spaces for cultural production and exchange. Prior to joining PRAKSIS, she will be attending the Curatorial School: Curating the New, at the University of Malta, and conducting research in Krakow.